Mountains, valleys, waterways and scenic railways: Switzerland offers stunning vistas and grand adventures at every turn on this 12-day tour. 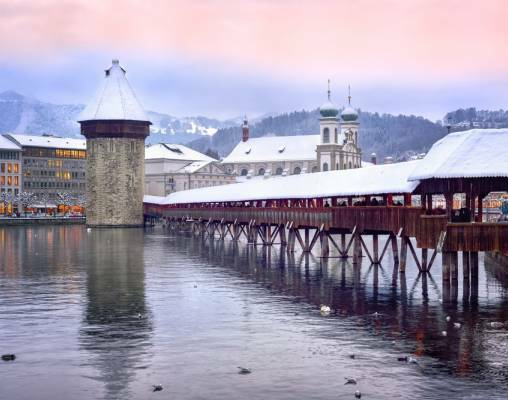 The very best sites and attractions of Switzerland lie ahead on this incredible wintertime journey. 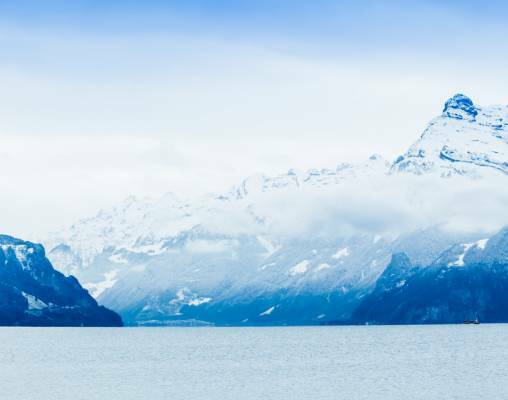 You will enjoy a look at the lands from all angles as you cruise the beautiful waters of Lake Lucerne and ascend some of the region’s most iconic mountains, including Mt. Rigi and Mt. Schilthorn. You will experience historic cities, resort towns, quaint villages and everything in between. Your time here begins in and ends in Zürich and continues to Lucerne, Interlaken, Montreux, Zermatt and St. Moritz. 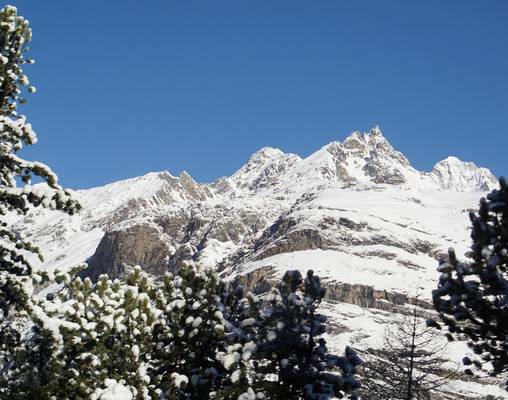 Each destination brings wonderful sightseeing opportunities and full immersion in Swiss culture. You will have time to explore on your own, as well as to embark on well-planned excursions as you move through the country. 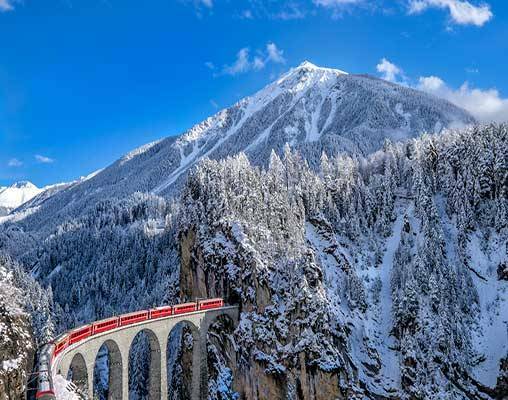 In addition to everything else this tour provides, your trip is rounded out by scenic rail journeys aboard the Glacier Express and the Bernina Express. A true winter wonderland awaits. 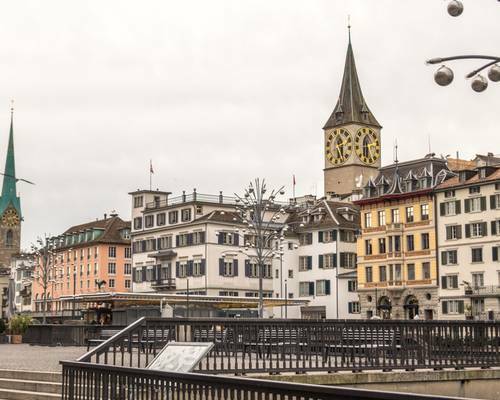 Make your way to Zurich, Switzerland using your preferred airline for the overnight flight (flight not included in tour cost). Moderate hotels commonly used are the Hotel De la Paix, Lucerne, Hotel Crystal, Interlaken, Tralala Hotel, Montreux, Hotel Gami Sarazena, Zermatt, Unique Hotel Eden, St. Moritz, and Hotel Adler, Zurich. Hotels are subject to availability, substitutes will be of similar quality and amenities. Superior hotels commonly used are the Ameron Hotel Flora Luzern, Lucerne, Hotel Bellevue, Interlaken, Hotel Eden Palace au Lac, Montreux, Hotel Aristella swissflair, Zermatt, Hotel Reine Victoria, St. Moritz, and Glockenhof Zurich, Zurich. Hotels are subject to availability, substitutes will be of similar quality and amenities. 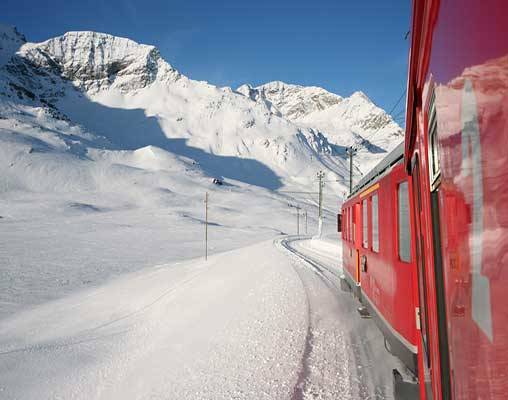 Enter your details below if you would like to be notified when 2021 dates and prices are available for Grand Train Tour of Switzerland in Winter.